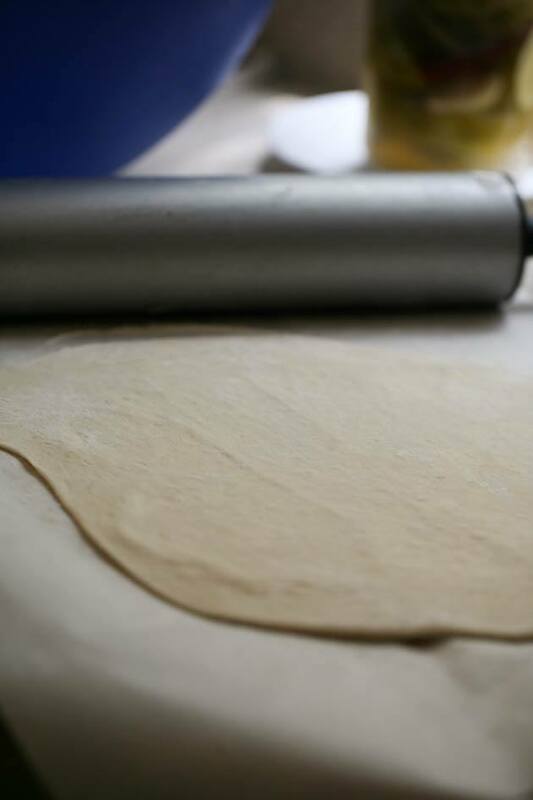 This is simply the best homemade pizza dough recipe. I have been using it for a very long time. It uses simple ingredients and it’s easy to put together. You can freeze it or use it right away. 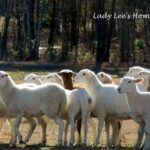 I don’t know if I can classify my kids as picky eaters or hard to feed… After all, they don’t have any food allergies, they’ll try many things, and they love vegetables and fruit. But they’re kids after all and they demand ‘kid food’. If it’s too complicated they might try it but probably won’t actually eat a meal of it. Since they are homeschooled and with me all day, and since I need to eat too (and am so tired of kids food! ), we often meet in the middle. 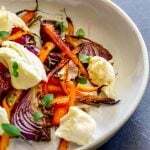 I try to make things that they’ll love and eat but that with a tiny bit more effort I can make a little less ‘kid food’ for me. Chili is a great example. They love it and with just a couple toppings I can make it a little fancier for myself. Pizza is another great example! They love pizza, but just the regular marinara sauce and cheese pizza. I love that too, but if I want to make a different kind of pizza it’s pretty easy since I make the pizza from scratch at home. 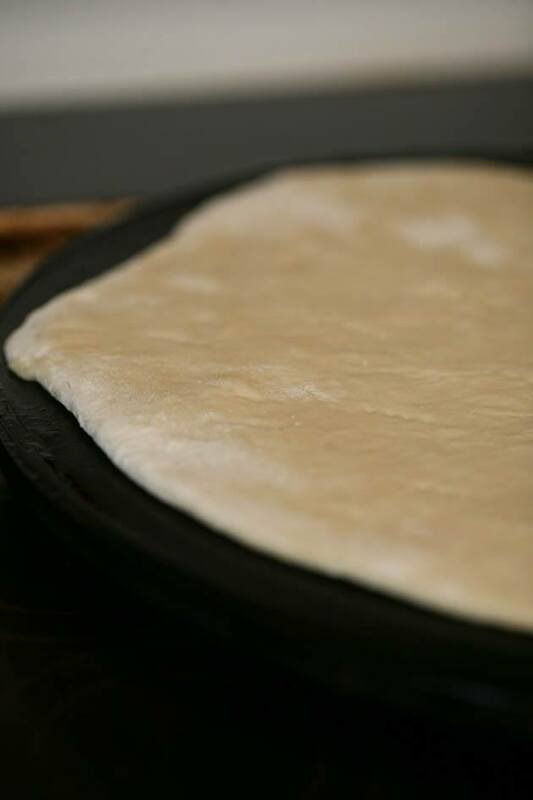 I’ve been using this pizza dough recipe that I am going to share with you for a few years now. 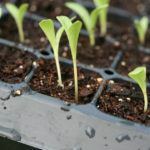 It uses basic ingredients that are easy to find anywhere, it’s simple to put together, and you don’t have to wait for it to rise a long time before you can use it. 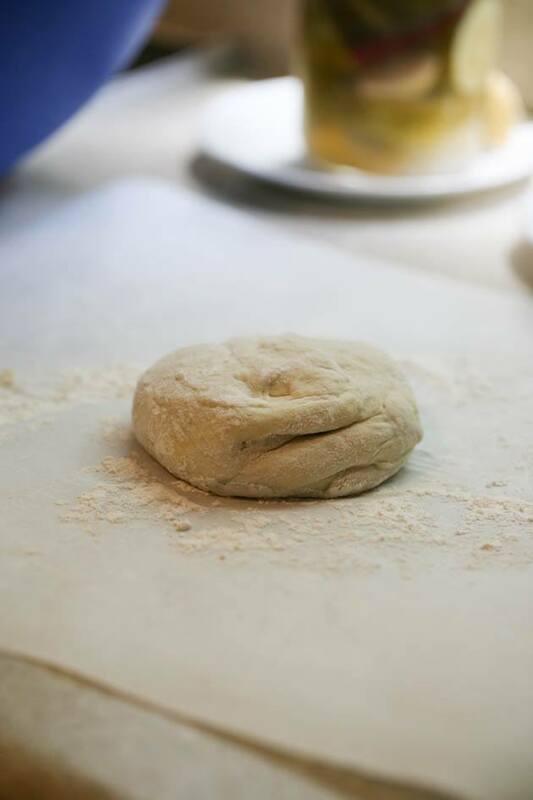 Another great thing about this dough is that you can freeze it! So you can make a large batch and freeze some of it. Or you can just make the dough whenever you have time, divide it and stick it in the freezer for another day. The recipe for the dough is below. 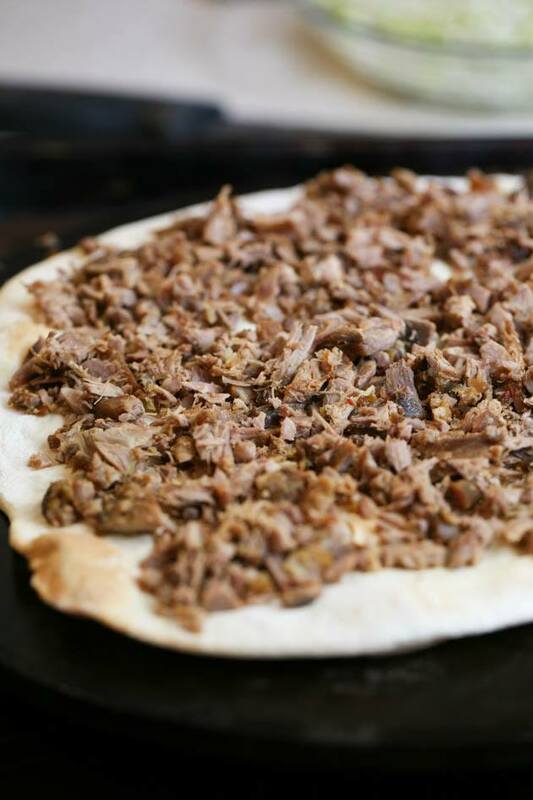 I also wanted to show you how I used it to make a yummy meat pizza the other day. 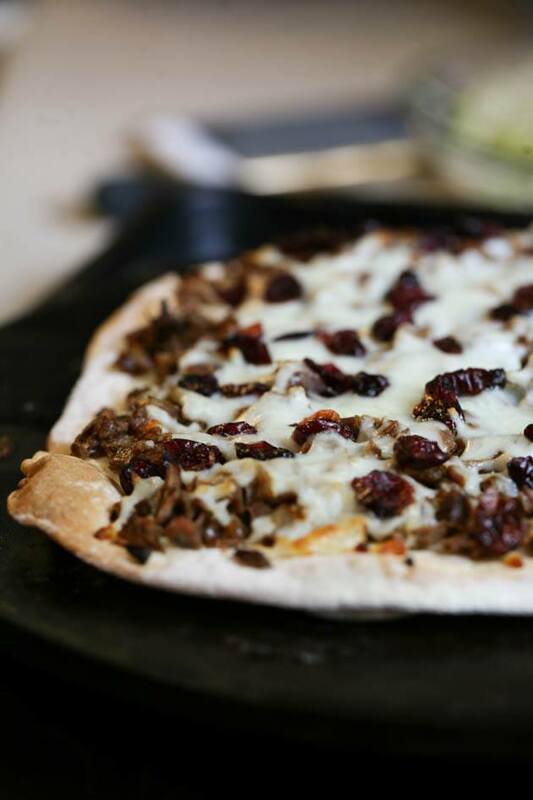 I made the kids their regular pizza and for myself, I made this meat pizza with leftover roasted duck meat. 1. Add water, sugar, and yeast to the mixer bowl. Mix and let rest and bloom for ten minutes. 2. Add salt, olive oil, and flour. 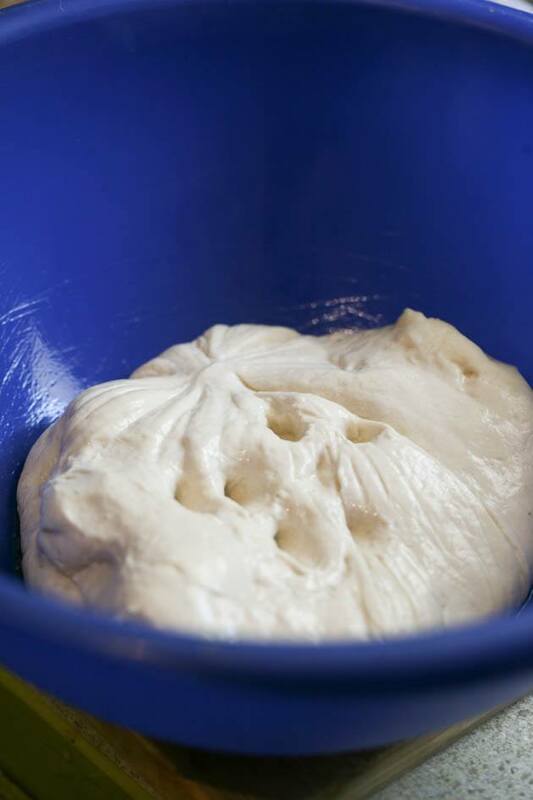 Let the mixer knead the dough for seven minutes or so with a dough hook or knead by hand. 3. If you want to freeze the dough divide it in half and place each ball in its own zip-lock bag and store in the freezer. When you want to use it you have to remember to take it out of the freezer three to four hours before to let it thaw and rise a little bit. 4. If you don’t want to freeze it, just let it rest and rise for 30 minutes and then it’s ready to use! 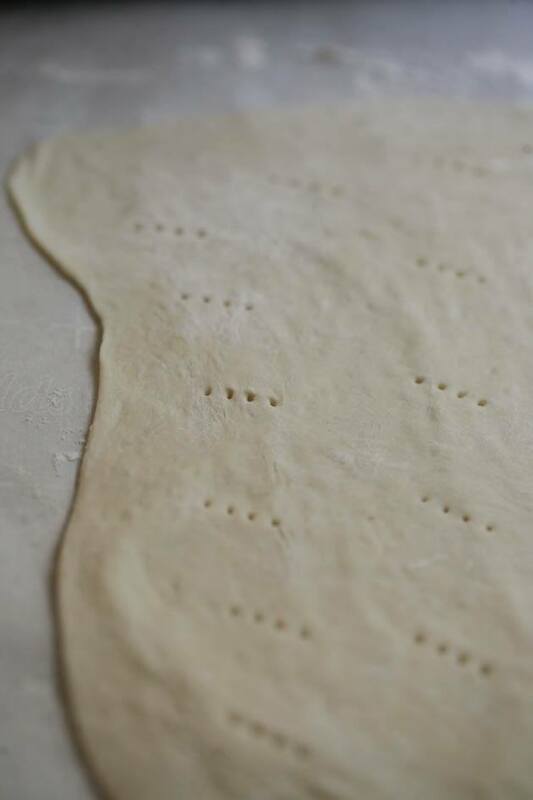 To use the dough, divide it into two or three balls, roll each one to the thickness you like and stick a fork in a few places to make holes to prevent air pockets from forming while you bake it. 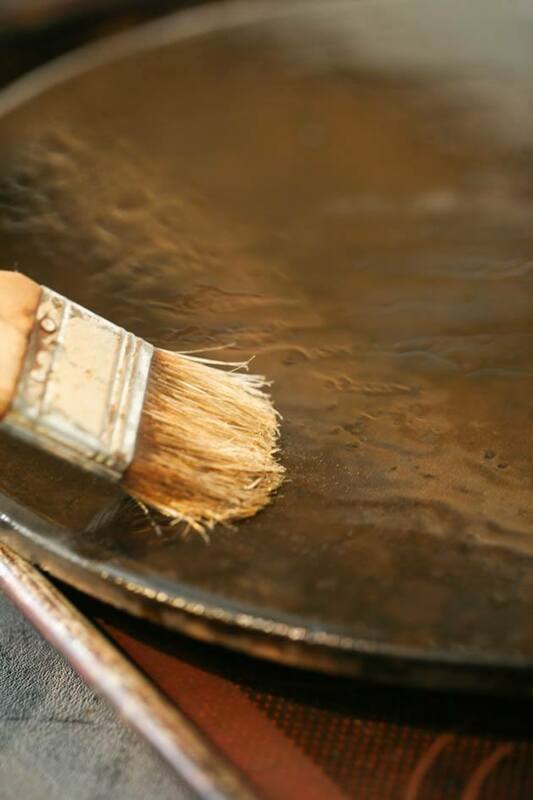 Brush a baking sheet with olive oil and transfer the dough onto the baking sheet. Bake it at 450? F for 10 minutes until it’s slightly brown. Take the dough out of the oven, add your toppings and bake it again for another 7-10 minutes or until the cheese has melted. That day, I used the dough right away. I divided it into three smaller balls, made two regular pizzas for the kids and one meat pizza for myself. Next, I used a fork to make some holes in the dough this prevents pockets of air from forming while you bake the dough. I let the dough rest a moment and meanwhile turned the oven to 450? F and placed my pizza stone in there to heat. 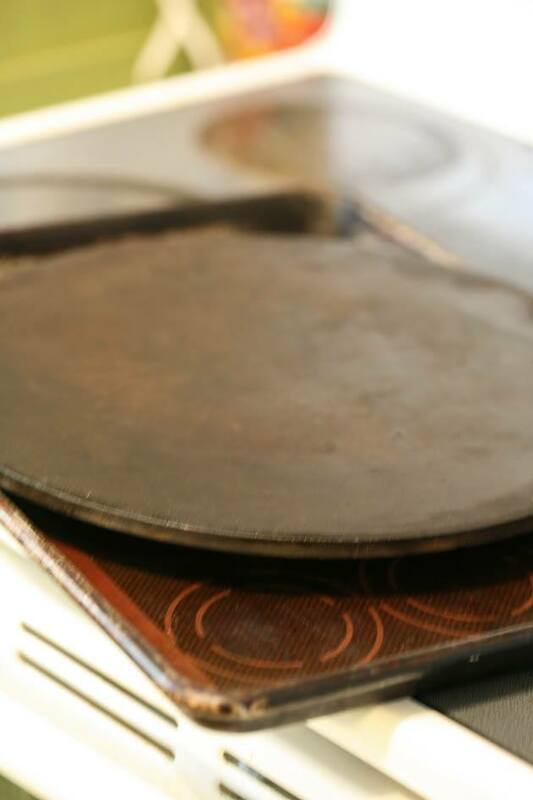 If you are using a pizza stone you want it to be hot before you place your pizza dough on it, but if you’re using a regular baking sheet you can just go ahead and move to the baking step. When the oven reached 450? F I let the stone stay there for a couple more minutes before I took it out. When it was out of the oven, I brushed it generously with olive oil. I lifted the dough with the parchment paper and transferred it on top of the stone. Then it went back in the oven for about ten minutes or until the crust is slightly brown. While the crust is baking, I cut my leftover meat into really small pieces. This is duck meat from ducks I raise myself here on the homestead. I roasted one in soy sauce, honey, and garlic. Of course, it was too complicated for the kids so they didn’t eat much of it (it’s gotta be BBQ for them to eat it…). I ate as much as I could before I decided to use the rest in a different way. So the meat was already seasoned. 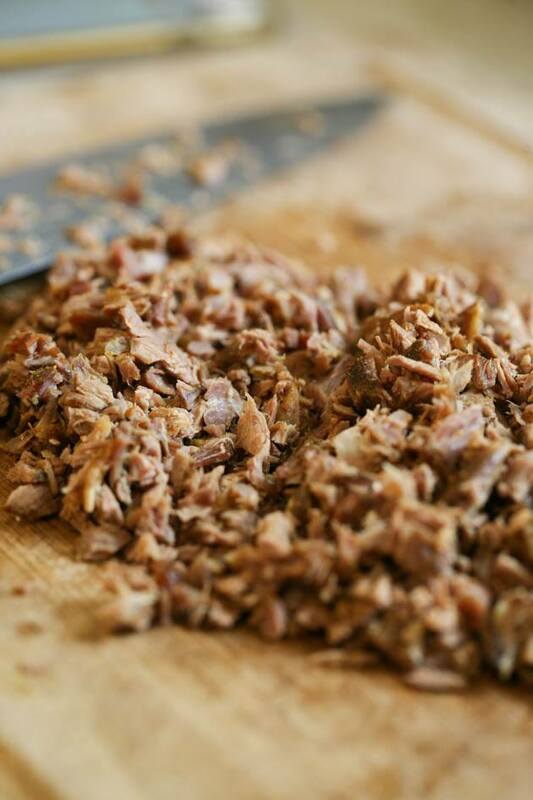 You can use any kind of meat you want, it can be beef or chicken, or pork…whatever. 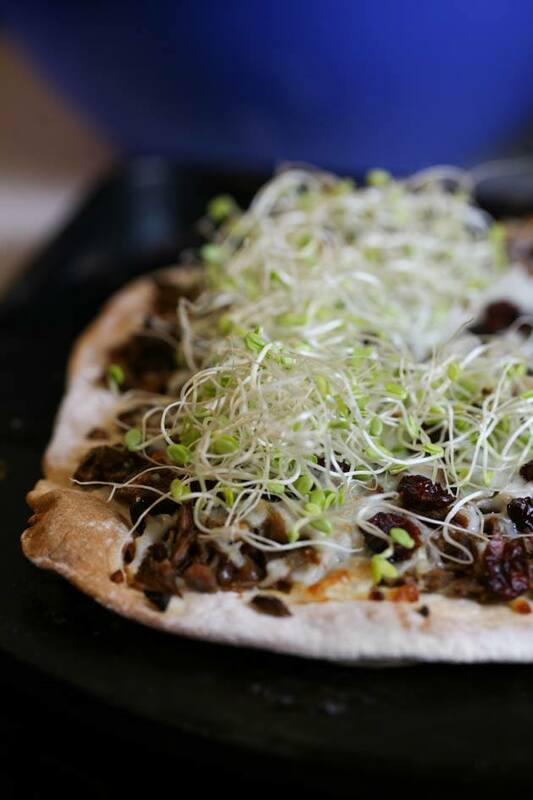 To add flavor to the pizza it should be cooked before whichever way you like it. Back in the oven it went for another ten minutes or so or until the cheese melted. Lastly, I had to add some greens so on went the sprouts! I love my kids but I also love eating a whole pizza by myself, ha! So the fact that it was too different from their basic cheese pizza was great for mama that day. I got to enjoy the whole thing and it was delicious! Yield: Up to 4 pizzas depending on the thickness of the crust and size of pizza. Simple ingredients, easy to put together, and you can freeze it or not. 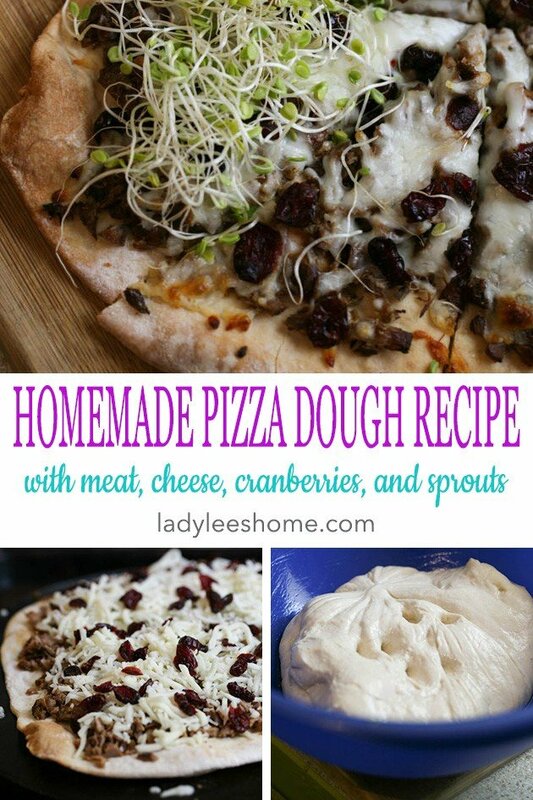 This is the best homemade pizza dough recipe I ever tried. Enjoy! Add water, sugar, and yeast to the mixer bowl. Mix and let rest and bloom for ten minutes. Add salt, olive oil, and flour. Let the mixer knead the dough for seven minutes or so with a dough hook or knead by hand. If you want to freeze the dough divide it in half and place each ball in its own ziplock bag and store in the freezer. When you want to use it you have to remember to take it out of the freezer three to four hours before to let it thaw and rise a little bit. 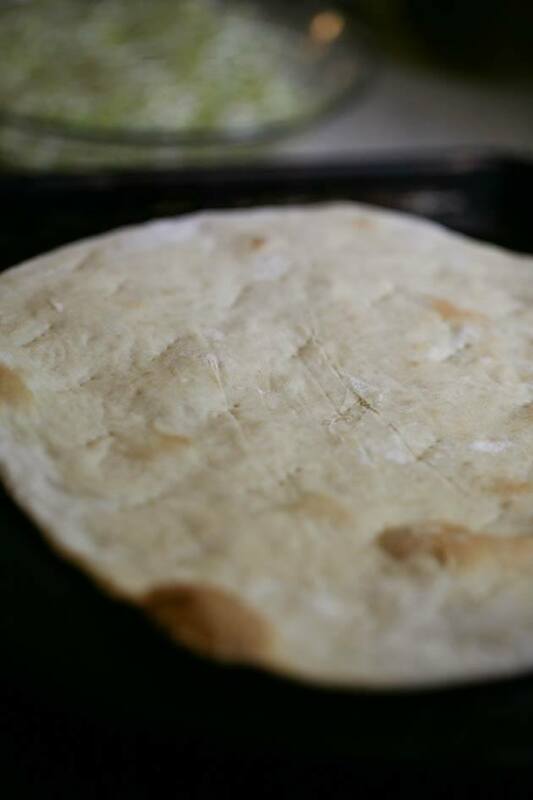 If you don't want to freeze it, just let it rest and rise for 30 minutes and then it is ready to use! Bake it at 450 F for 10 minutes until it's slightly brown. 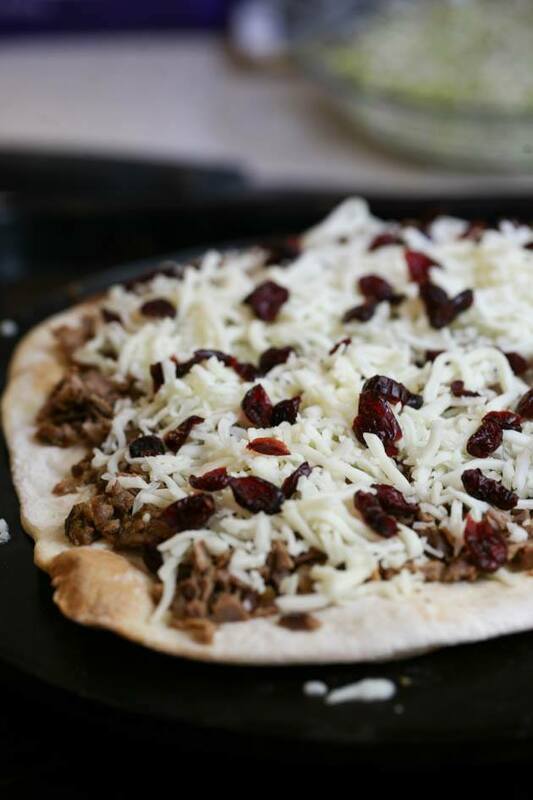 Take the dough out of the oven, add your toppings and bake it again for another 7-10 minutes or until the cheese has melted. « 47 Fresh Pumpkin Recipes – Savory Recipes Using Fresh Pumpkins! I’ve tried several pizza dough recipes but have never hit on one that I was real happy with. It could also be the way I’m preparing it, have never tried using a pizza stone (I have one) or doing a pre-cook. I’m going to give this a try. 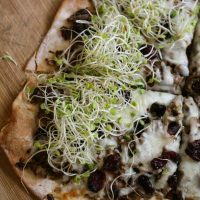 I’m like you when it comes to toppings, I’ll toss all kinds of left-overs on it, just hadn’t thought about using the sprouts! Good call! 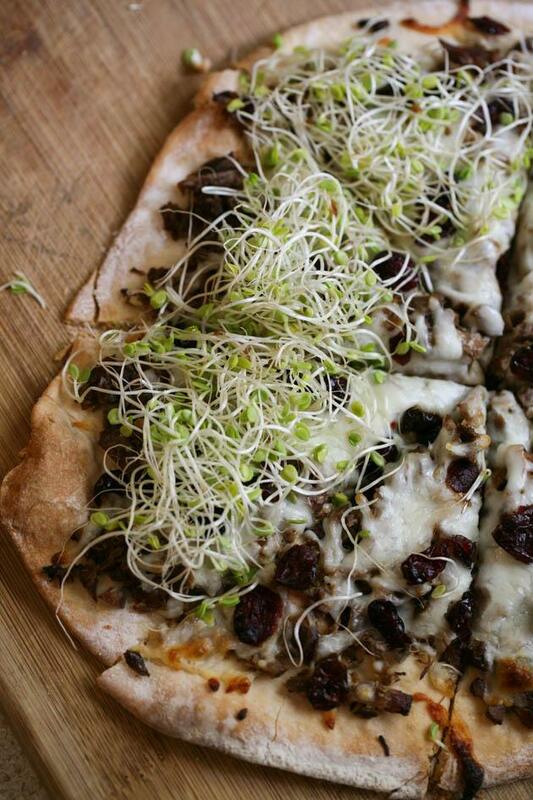 I almost always have alfalfa or a bean sprout medley going. Cheers! Gotta have some kind of green somewhere, LOL! I eat a salad with pretty much every meal, I had to add something green here too. Try to use the stone if you like a crispy crust. I love it.